Mist.io allows you to store and run executable scripts to configure newly created systems or modify existing servers. In order to achieve that, Mist.io needs SSH access to the specified machines. 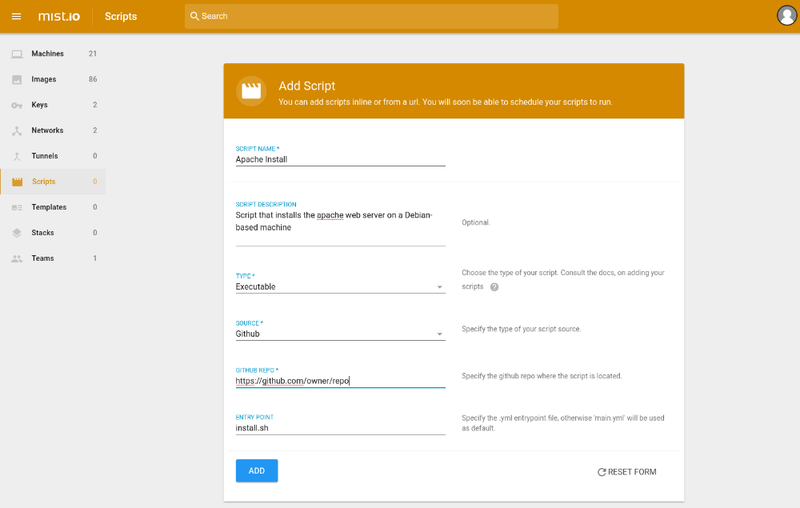 By providing a central place to store scripts, Mist.io can act as a library to store and reuse configurations and actions. 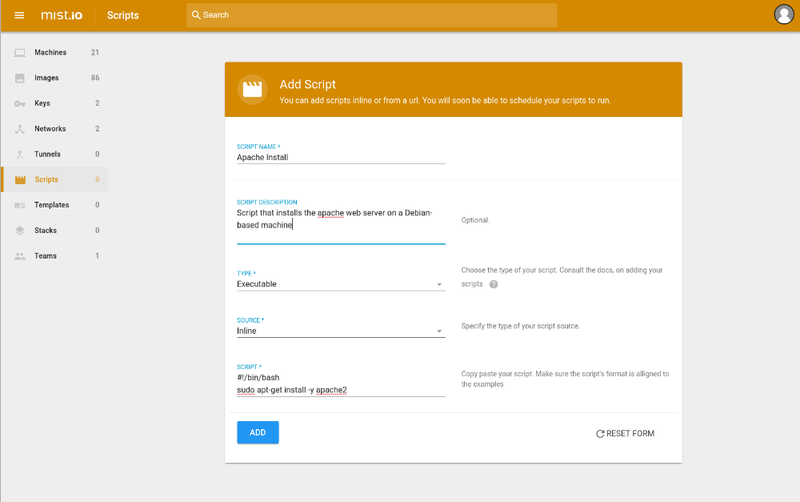 Now that we have added our scripts, it is time to see how we can run them. 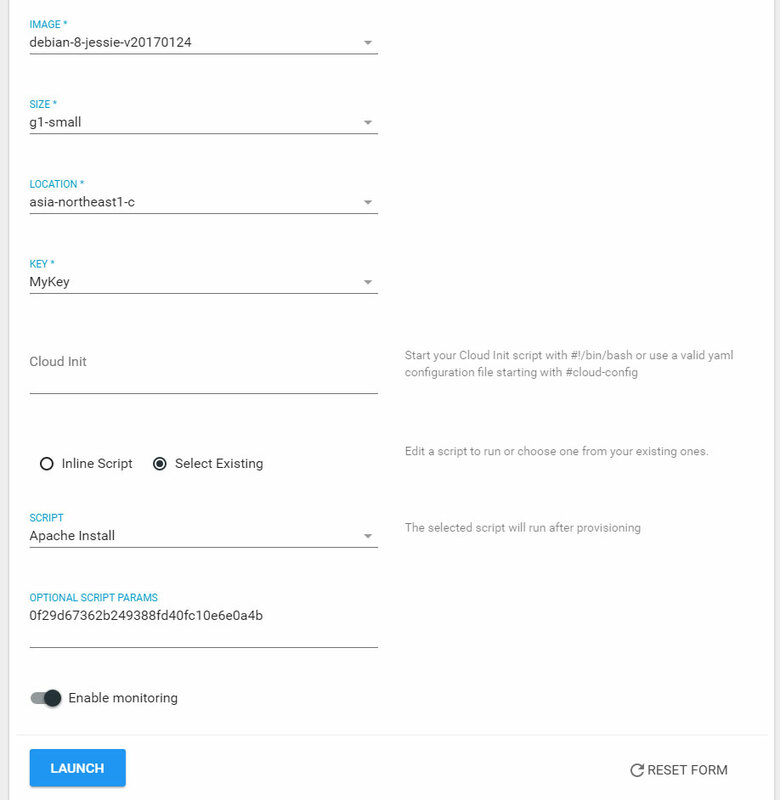 We can do that on a newly created system, or on existing systems that Mist.io already has SSH access. We can also run our executable scripts on existing servers. 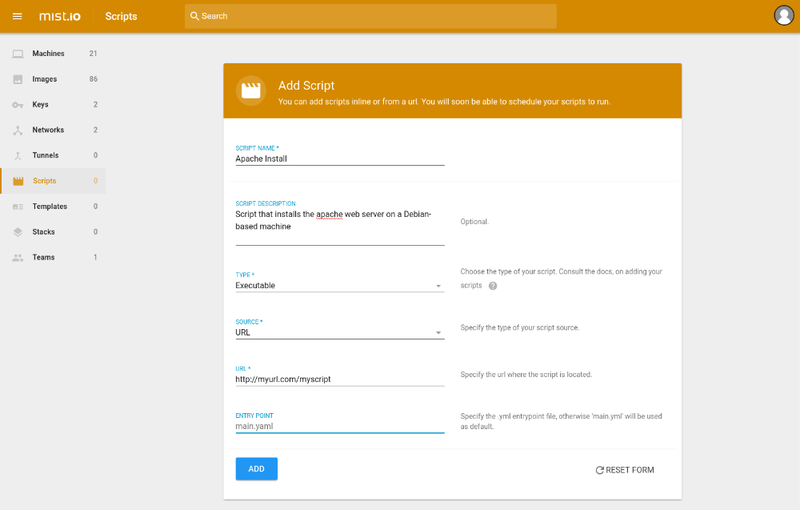 Enter the scripts section, select the script, and select Run script. Then, select the machine from the list and click on Run. The script will be run on that machine. The list shows only the machines that Mist.io can connect to via SSH.